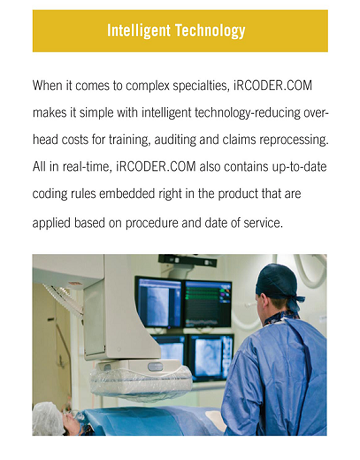 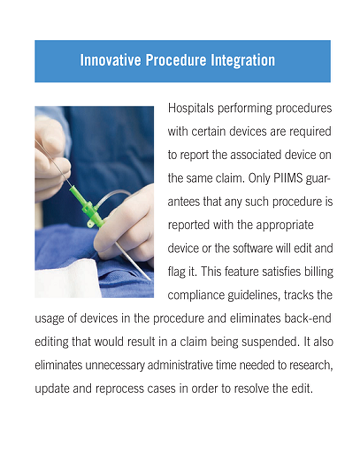 IS a proprietary web-based software system with programmed intelligence to code and charge procedures in the following specialties: coronary (cardiac catheterization and related procedures, electrophysiology, pacemakers and ICDs); vascular (percutaneous diagnostic and therapeutic procedures); central venous access devices, and certain biliary, urinary, and spinal procedures. 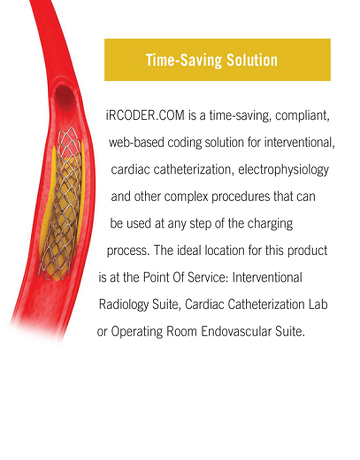 IS compatible with all hospital systems and only requires internet access for usage. 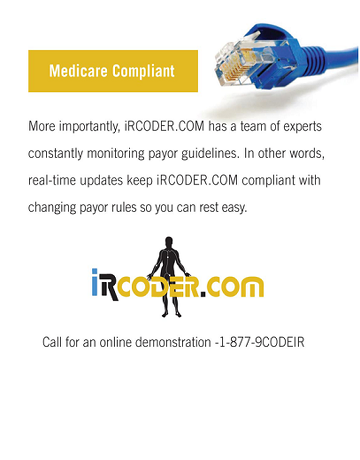 IS HIPAA compliant with encryption technology that protects the transmission of patient-related information. 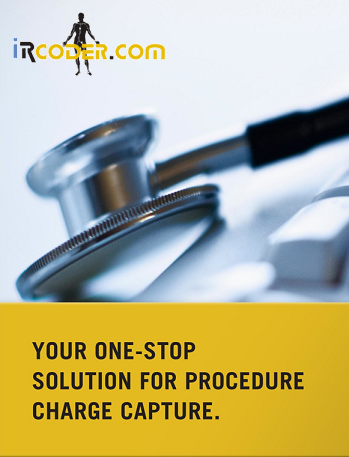 PERFORMS a complete customized charge description master review to correctly output each department's unique charge codes, CPT codes, and applicable modifiers. 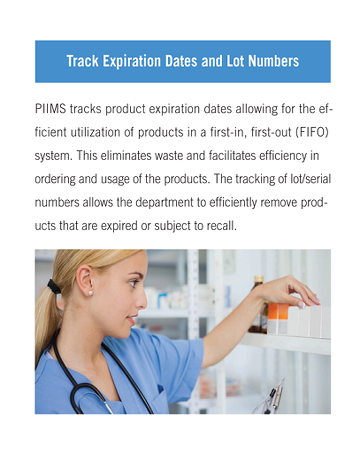 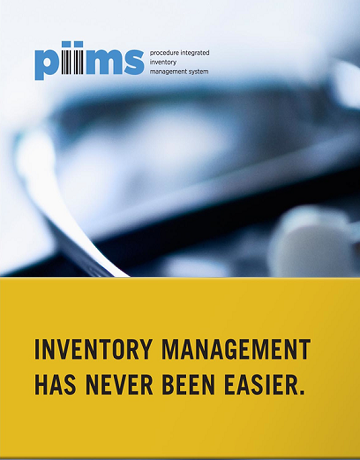 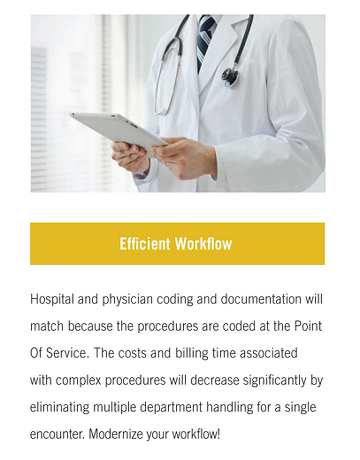 RECEIVES patient demographic information via HL7 interface to enhance hospital productivity and minimize keying errors. 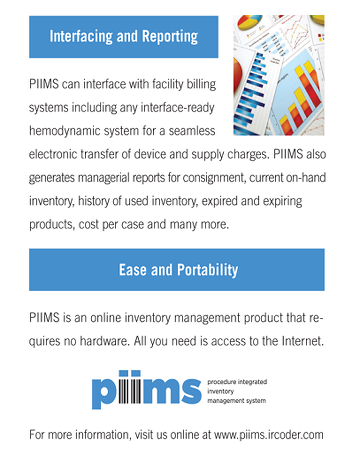 TRANSMITS billing data directly to your hospital system via HL7 interface on a real-time basis or a batch process. 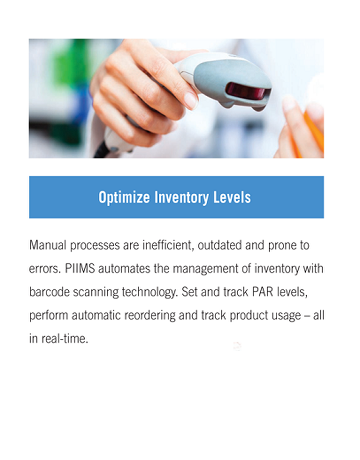 This feature improves productivity, reduces turn-around time from coding to billing, and reduces key-stroke errors.